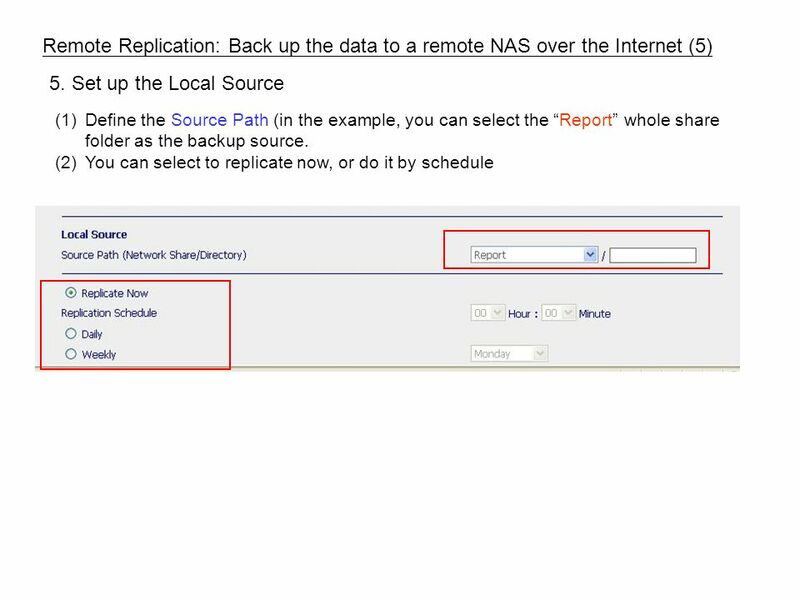 Remote Replication Example A: Back up the data to a remote QNAP NAS over the IP network. 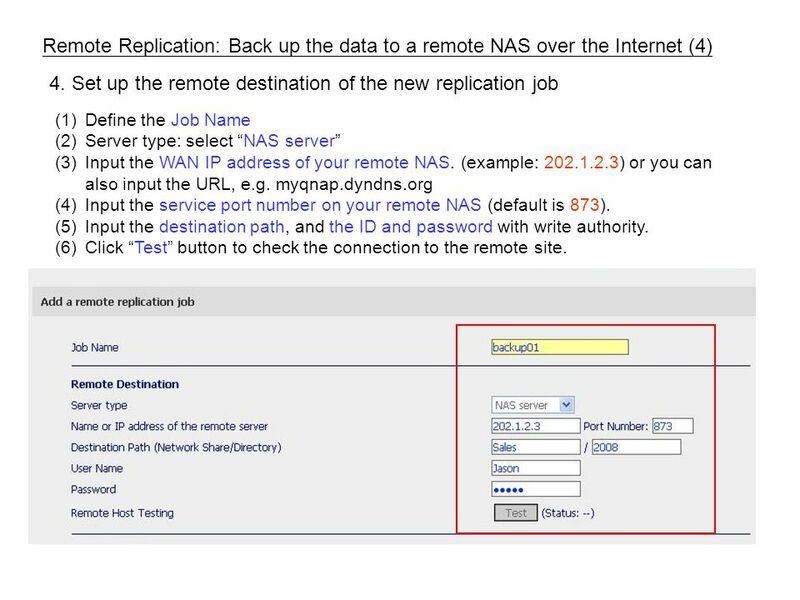 7 Remote Replication: Back up the data to a remote NAS over the Internet (5) 6. Set up the options (1)Select the options. (Click ? 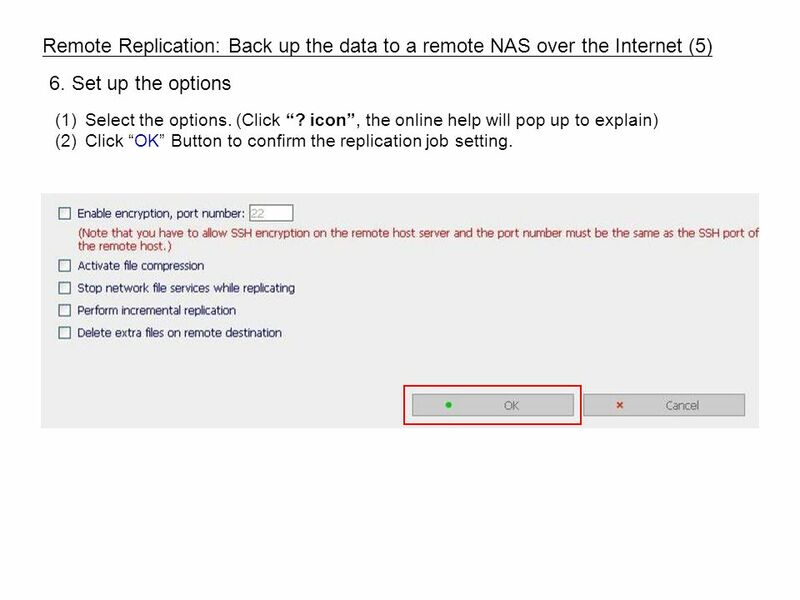 icon, the online help will pop up to explain) (2)Click OK Button to confirm the replication job setting. 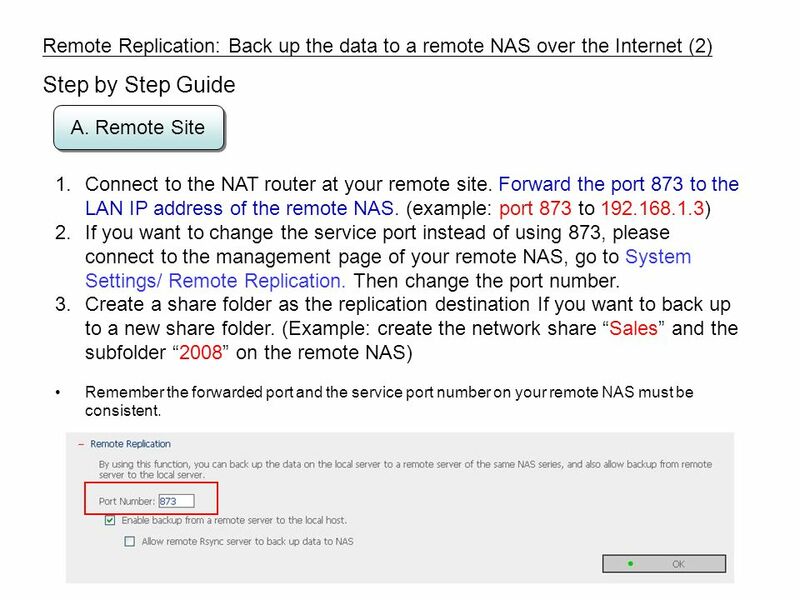 Download ppt "Remote Replication Example A: Back up the data to a remote QNAP NAS over the IP network." 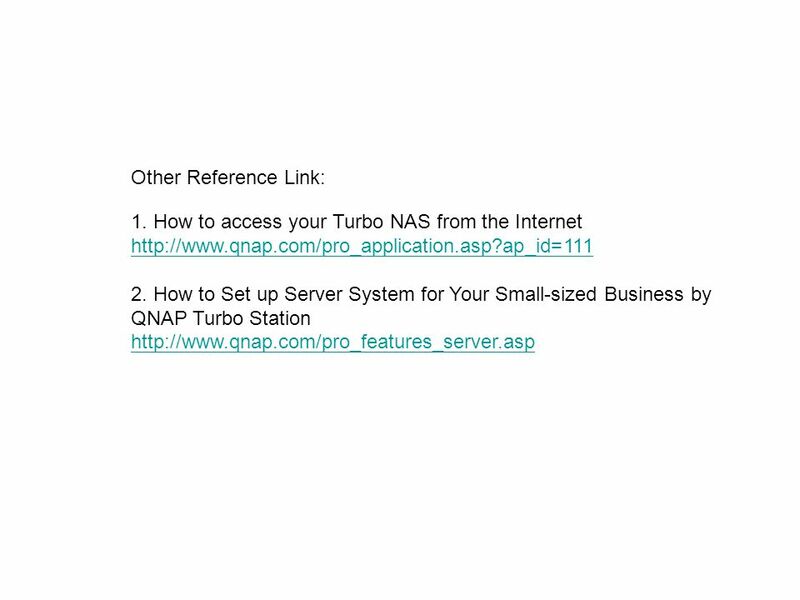 Screenshots with Instructions December Access UNCPs VCL Access UNCPs VCL via DoITs website at the URL above. Instructions. Visit us at Introduction to Computer Networks. 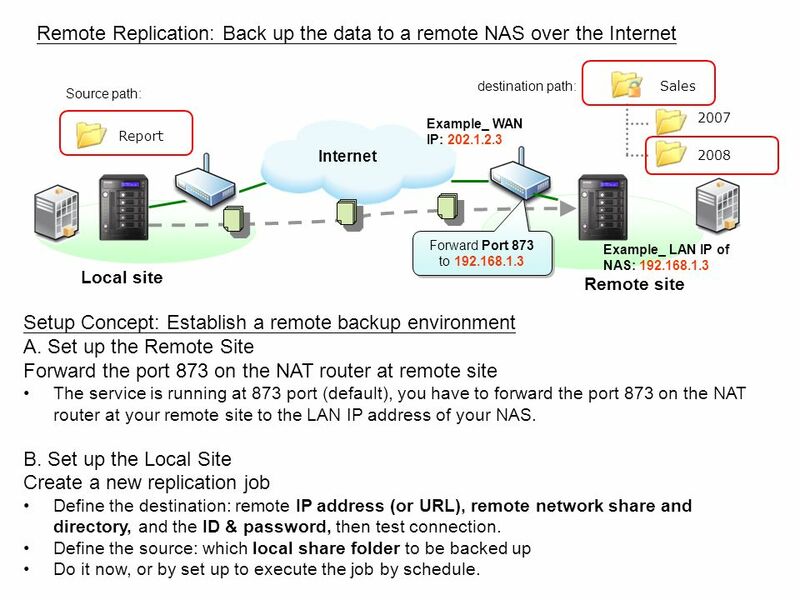 Winconnect Server XP by John Mackenzie. What is Winconnect Server XP WinConnect Server XP is software for installation onto Windows XP Pro, which transforms. Simultaneous Dual Band Wireless N Router CY-SWR Frequently asked Questions on CY-SWR1100 Reporting Date : 22-April-2011. 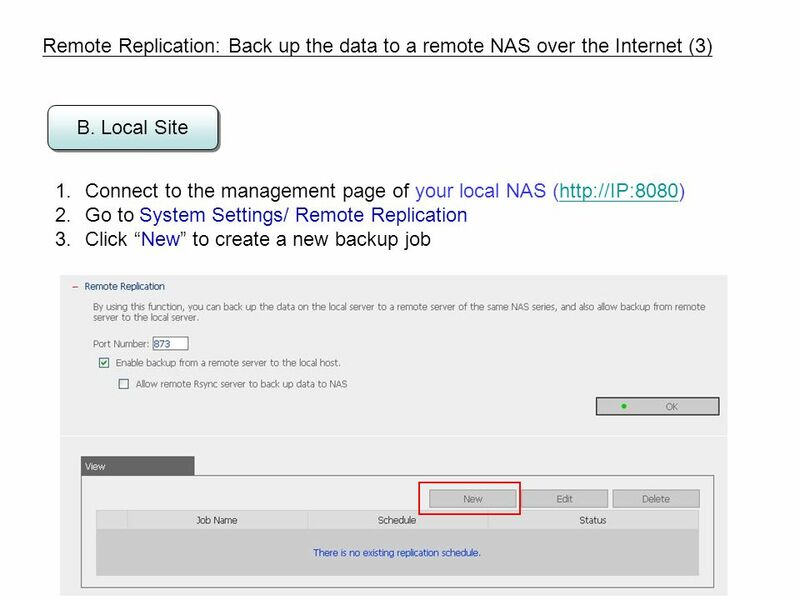 MySQL Installation Guide. MySQL Downloading MySQL Installer.